Within walking distance to Dongdaemun! Business hotel that aims to provide a good services! 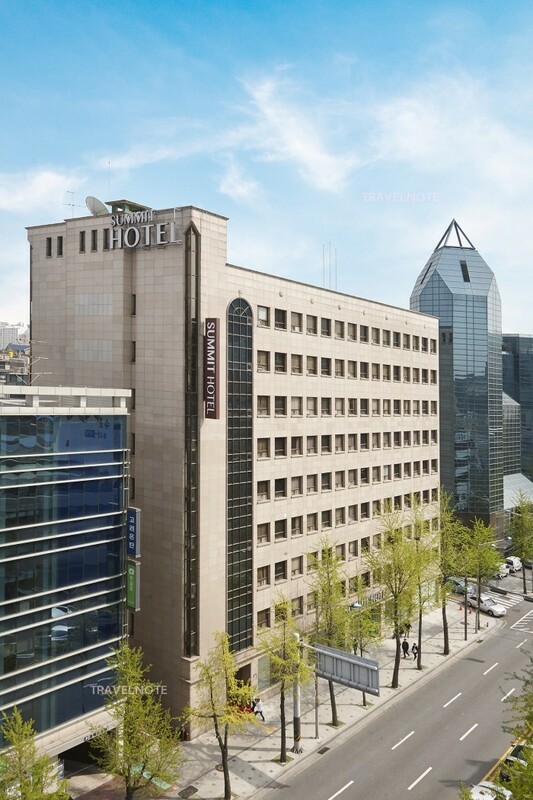 The Summit Hotel Seoul opened in Dongdaemun area in Sep, 2013. The hotel is about 100m walk from Dongdaemun Culture and History Park station where subway line 2, 4 and 5 are crossing. There are 190 rooms and variety room types (Standard double,Standard twin, Deluxe double, Deluxe twin, Suite) to accommodate all types of guests from 1 person to 3people. The location of the hotel is perfect to access all areas in Seoul as the nearby station covers 3 subway reaching major tourist sites, business districts and downtown areas. It is only few min walk to the huge fashion town Dongdaemun market. The hotel is perfect for guests who want to enjoy shopping and business travelers to visit City Hall and Myeongdong area.